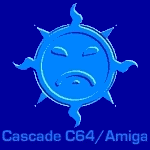 This is the virtual home of the C64/Amiga scene group CASCADE. Online for You since 1996! Amiga Emulator/Tool "WinUAE 4.2.0" listed in category "Amiga - Emulators and Tools" was recently submitted or revised. C64 Emulator/Tool "Hoxs64 V1.0.18.0" listed in category "C64 - Emulators and Tools" was recently submitted or revised. C64 Demo "Africade" listed in category "Scenography - C64 Demos" was recently submitted or revised. Segasonicfan developed a converter that makes it possible to use a Sega Genesis controller on a Commodore 64, Amiga or Atari computer. Features: Adjustable auto-fire, zero lag and low power consumption. Retro Computing Roundtable is a podcast for all retro computers. In this episode: AmigaOne A1222, Captain's Quarters BBS, WiFi232, Syncterm, Tempest 4000 (Jeff Minter), Alan Turing, Zork, Apple Video and Tezza's Adventures. The retrogaming Times is a retro computer magazine (English language) for all retro computer fans. In this edition: Prepare to Qualify, Events, More C64! - The Commodore 64's Legacy, Retrogaming Feels - CoCo Arcade, Apple II Incider - Legacy, The Controller Chronicles - Magnavox Odyssey 2 Joystick, A Pirate's Life For Me - Eighth Journey, The "What If Universe" - E.T., Memory Lane Is Not How I Remembered It, The Starpath Supercharger, The Retro Junkie: Teenage Mutant Ninja Turtles III: The Manhattan Project, Retro Gaming Legacy, What You Leave Behind, Show Report - California Extreme 2017, Weekly Retrogaming Trivia Recap and See You Next Game. The Town Dragon is a new adventure game for the Commodore C64. The game is made by Nibelung. The new Commodore C64 cases are now available. The package consists of a C64c case, logo, set of screws, rubber feet and a Commodore cardboard box. The available colours are breadbin grey, classic beige, SX-64 style and retro black. FRGCB (Finnish Retro Game Comparison Blog) is a web page that writes about retro games. 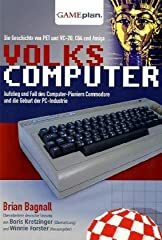 But the difference is that this blog compares the games between the different computers like the C64, Amiga, MSX, NES, CPC, DOS, etc. The most recent comparisons are: Zorro (Datasoft - 1985), Overlander (Elite Systems - 1988), Modern Game Ports And Demakes! and A Brief History of Scandinavian Games. A new version of AmiKit is now available as a download. The changes in this version are: Boxx Trilogy games, Info 39.18b, AmiKit Quick Guide, AmiStart menu, AHI Audio System, LAME 3.100a2, NetSurf 3.7, OpenURL 7.17, Opus Audio Tools 0.1.10, playOGG 140508, PlaySID 1.2, Polish Locale, PTPlay library 2.6, ScreenText 1.4, UnLZX 2.16 and WHDLoad 18.4 beta. NinjaTerm is a new program for the Commodore VIC-20. NinjaTerm has the following features: Very fast, 2400 baud in VICE, 1200 baud in hardware, C64 char set, file transfers, address book and support for Wifi Modems / tcpser modems. In this episode of the Guru Meditation: Bill and Anthony were present on the AmiParty 21 in Poland. C64 Debugger is a code and memory debugger that works in real time. The program works together with the VICE emulator. Changes in this version: MIDI support, select audio out device via command line and improvements for loading and painting (sprites). A new edition of the English and German Amiga magazine Amiga Future has been released. In this edition: Editorial, News, Spielfeld, Tiger Claw, Safari Guns, Menace, Quasarius, Amiga Forever 7, C64 Forever 7, OS4Depot, Aminet, AmiCast, Projekt Rot, VA 2000, VA 2000CX, Trevors Soapbox, Hollywood, Free Pascal, Virtual disk (2), Demoscene, Blitz Basic (7), Devcon 2 and Marcus Sackrow. C=Rex Offline is a new game for the Commodore C64. 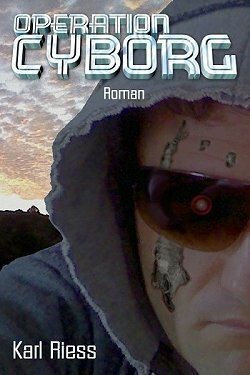 The game was released at Datastorm 2017 Summer and was made by WertStahl (code), Lft (music) and hedning (idea & test). The game is an addictive jump & duck game. 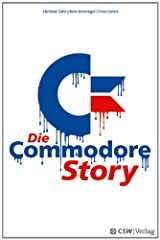 Bart Venneker has made a video about building a cartridge for the Commodore C64. This time he shows how make the case and put a program inside the cartridge. Dear Patrick, may this be the condolence from the the group that was co-founded by you long time ago. We want to give you our last salute. I (Zeldin) know how much you were breathing the spirit of the scene. That's why I thought a goodbye demo would have made you happy. You and me exchanged lots of mails about how much we both enjoyed the good ol' days and of course: how much we miss them... It was this tie that emotionally connected us for over 15 years. Thanks for all your help in supporting the group and your indefatigable endeavour in spreading our name. Your tattoos were legendary! Thanks for your work on fb and youtube. Your channels were appreciated by a lot of people. Thanks for being such a good chap. You'll be sorely missed!!! Mach's gut, Patrick... den Adler im Herzen, sge4ever!